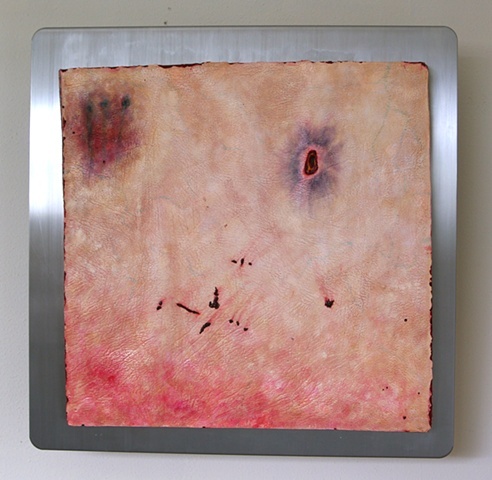 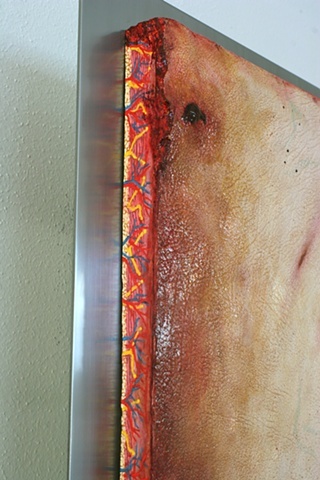 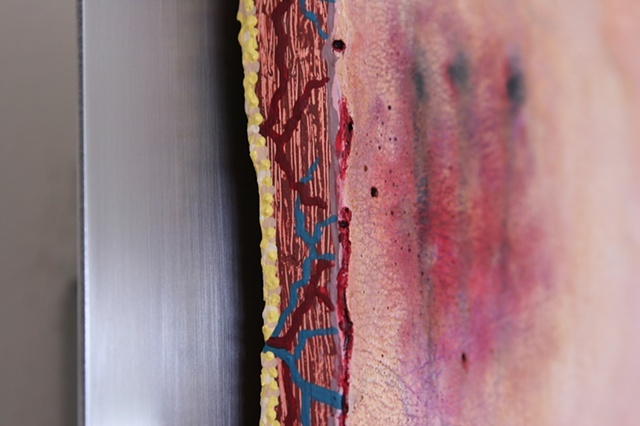 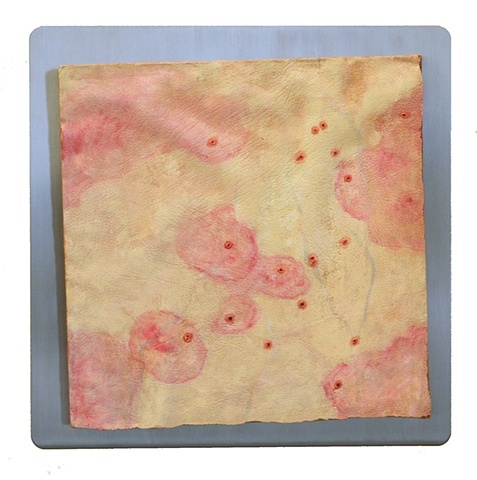 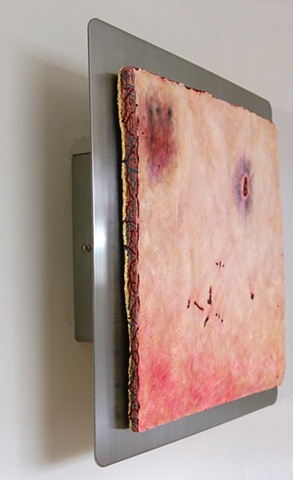 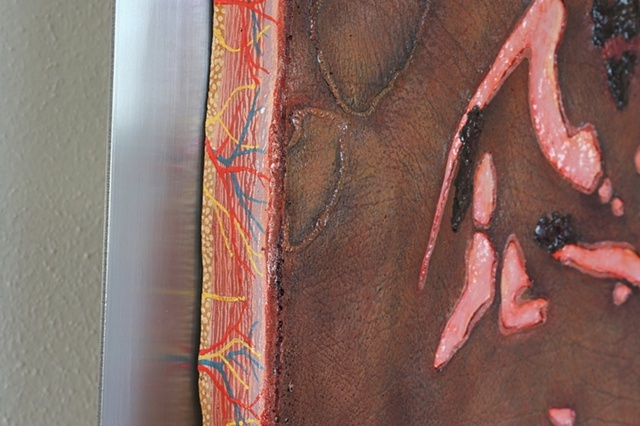 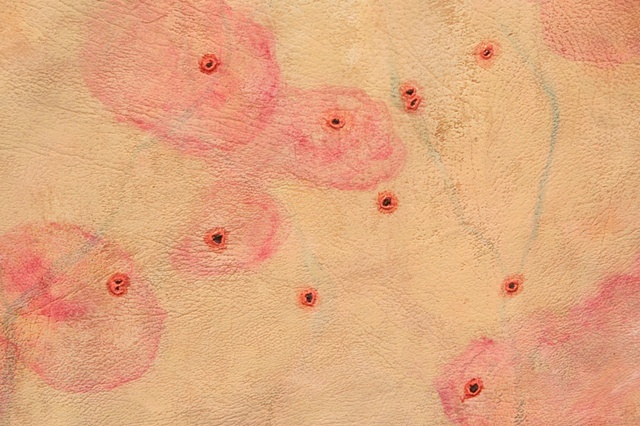 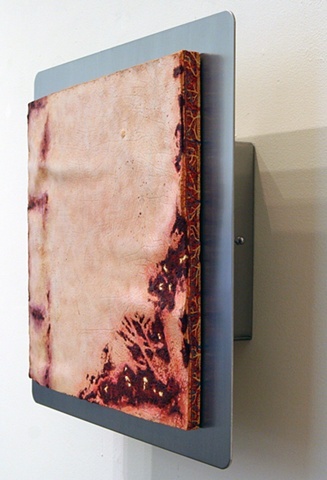 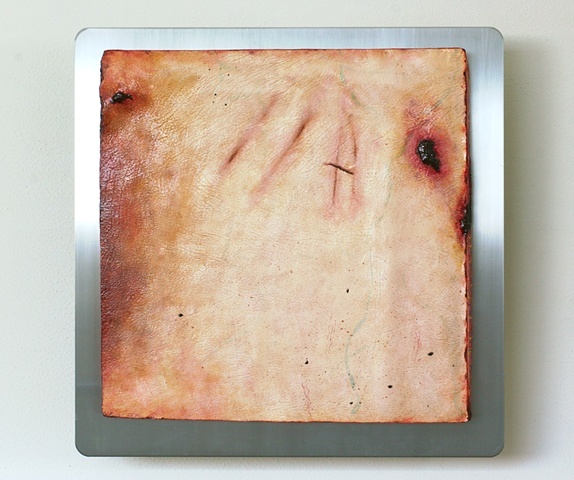 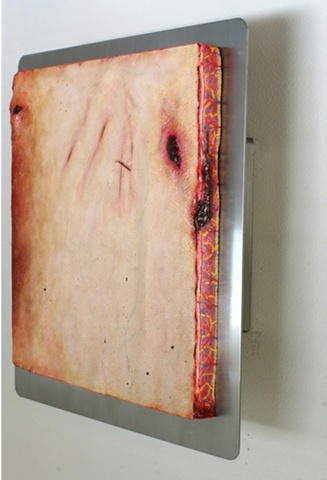 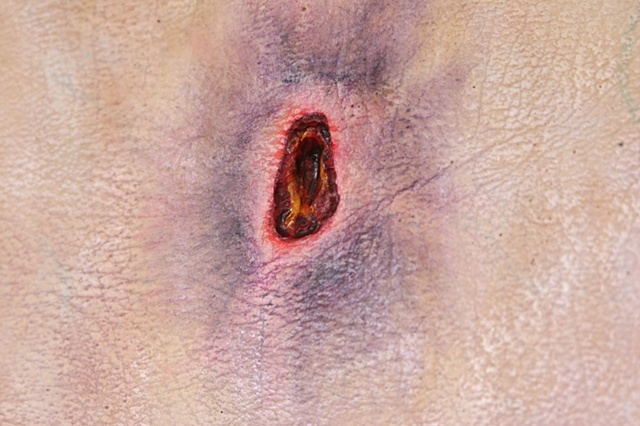 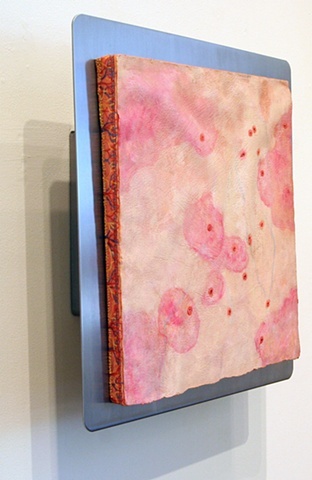 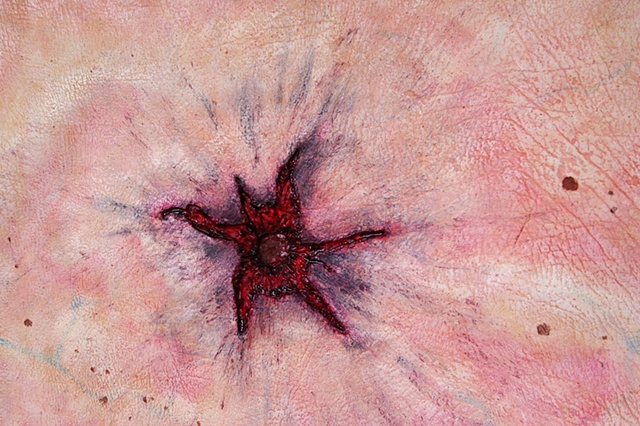 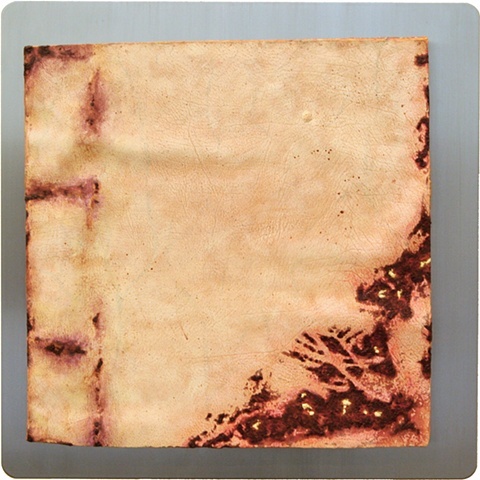 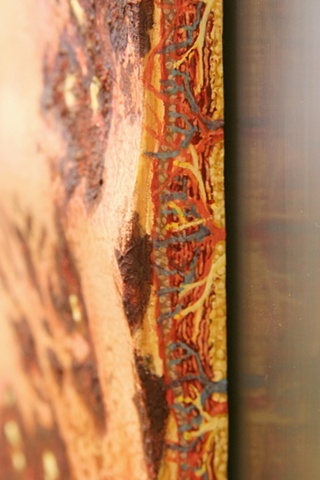 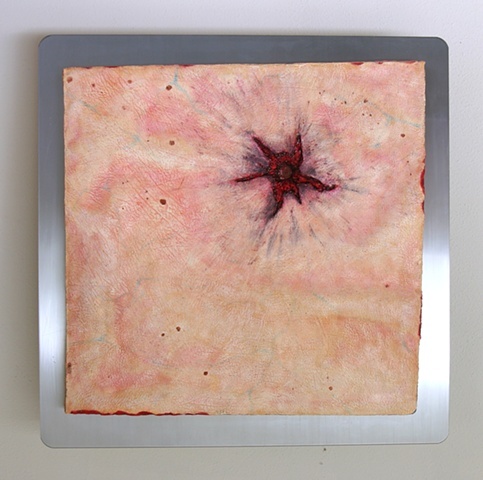 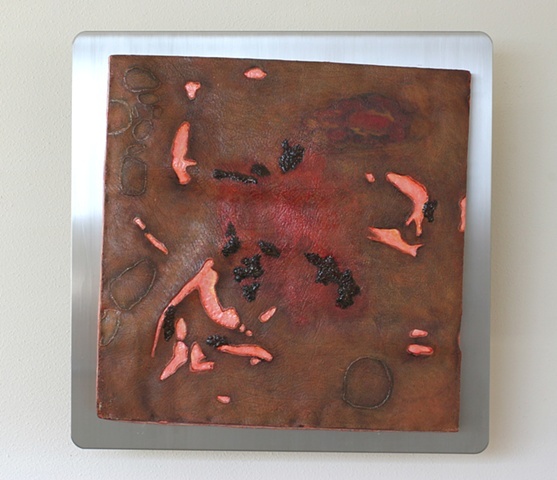 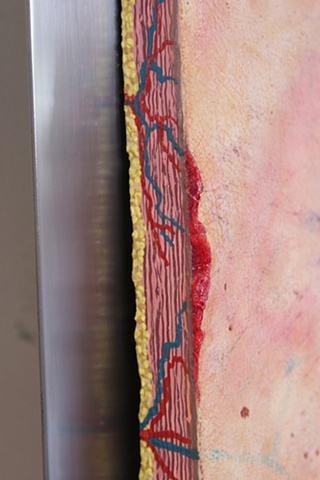 Begun in 2006, the Human Condition series references medical and scientific illustration along with skin disease through depictions of the phenomenology of human skin including aging, injury, and healing. 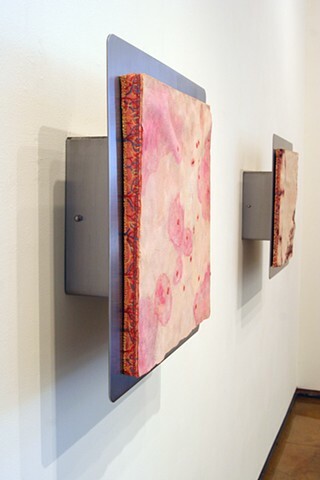 Works in this series involve painted hydrocal castings mounted on stainless steel supports. 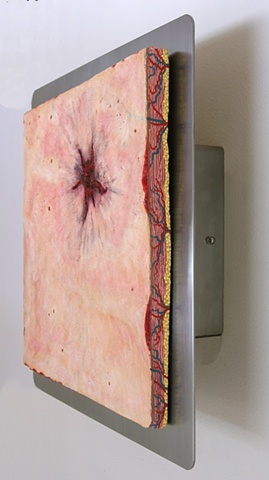 The resulting object oscillates uncomfortably between reality and illusion engaging notions of the abject and the medical.